Mária Chamber The story of this closed, cupola-like hall is connected to a young caver. 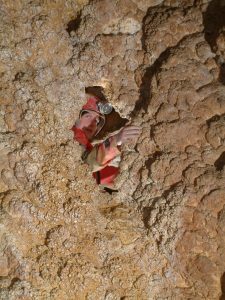 The discoverers of the cave came from the opposite direction, and they could not get through the Needle ‘s Eye, this thin gap high above. However, lighting through the gap, they saw that the cave continued. Luckily, there was a young, slim cav¬er in the group, Mária Szekula, who eventually managed to get into the hall and further into the Long Corridor. 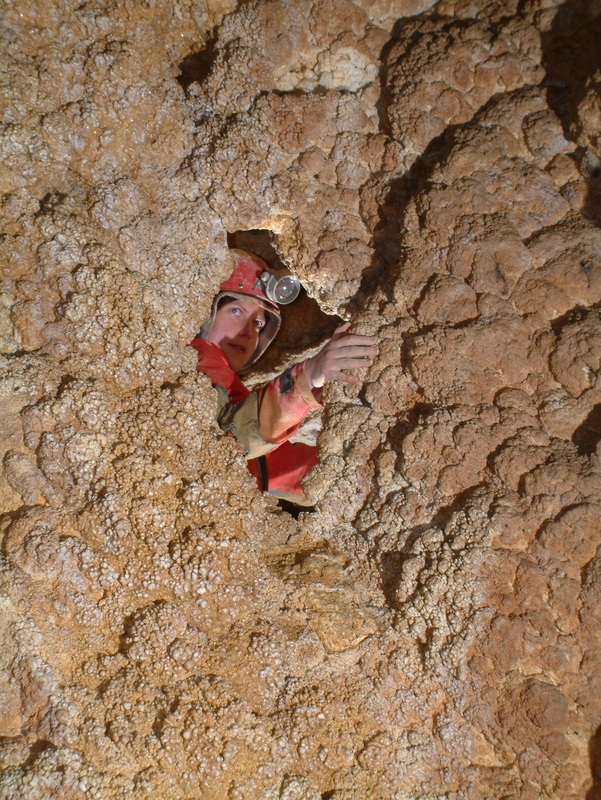 The other cavers had to widen the gap to be able to get through it, so the Needle ‘s Eye is much wider nowadays that it had been before. Later a comfortable passage was opened underneath the gap.